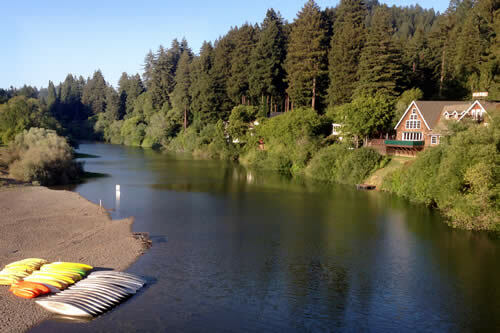 Welcome to Fern Grove Cottages, a Russian River Bed and Breakfast, located in Guerneville, California … in the Russian River Valley. Fern Grove’s country cottages are described as “cute and individualistic … very comfortable” and “charming” by TripAdvisor reviewers. 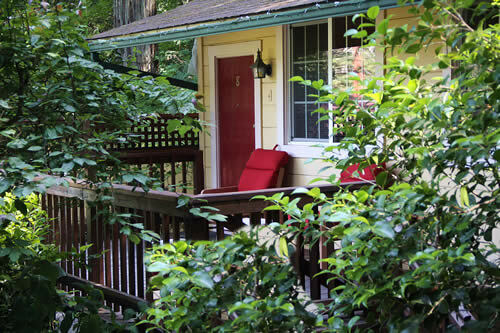 These carefully maintained accommodations are within easy walking distance of downtown Guerneville. 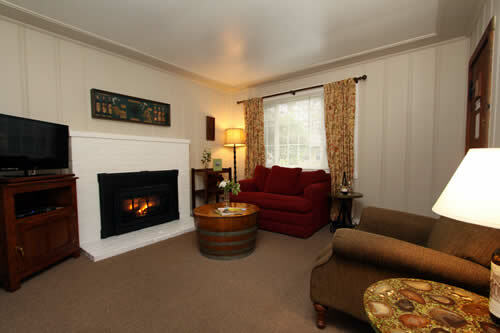 Our cottages date back to the 1920s, some have whirlpools tubs, others have wood-burning or gas fire places. Pet-friendly cottages are available as well. 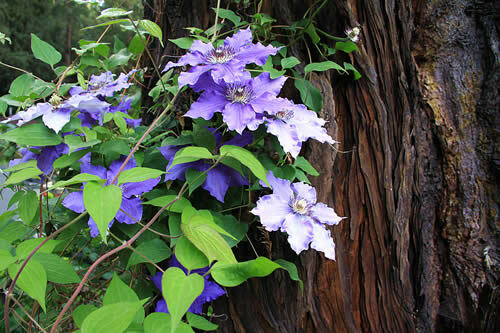 The 20 craftsman-style cottages and the lodge are situated among beautiful vintage gardens and redwoods. 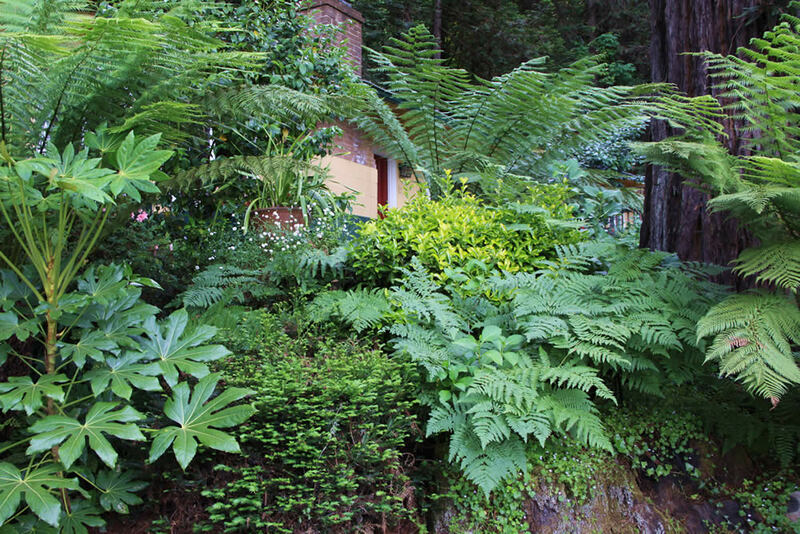 With a long and historic history of a more rural time, Fern Grove’s gardens continue to be filled with many varieties of ferns, fabulous roses, flowering shrubs and bountiful fruit trees. Our popular saline pool is open between May 1 and September 30. 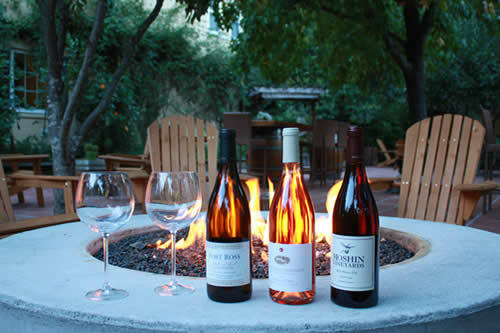 Fern Grove is the perfect “base camp” to explore the icons of the Russian River region, including Armstrong Redwood State Preserve, the Russian River Valley wine appellation and the Pacific Coast. 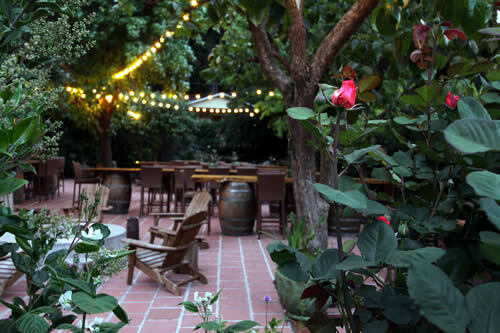 Complimentary wine tasting card for tastings at over 100 area wineries. Short stroll to town (great restaurants and entertainment) and river beaches. Queen and King beds, cable TV, some double spa tubs. Free WiFi. Built-in barbecues and picnic area + Fire-pit. 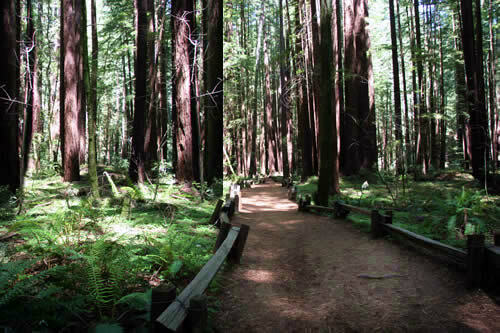 Close to Redwood State Park (Armstrong Woods) – 2 miles. Close to local golf course (Northwood Golf Club) – 2 miles. BBQ on our exquisite patio. Relax in your private cottage. Be surrounded by nature on your private deck. 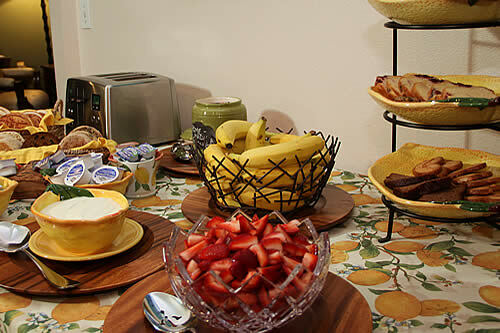 Indulge in a healthy breakfast. Spend the day on the river.